However, making sure your employees learn has far more to do with encouraging them to think than with just presenting them with information and hoping it’s absorbed. By leading trainees in the process of examination of their answers, you’ll not only help them better understand material, but also retain it and be able to put it to use. 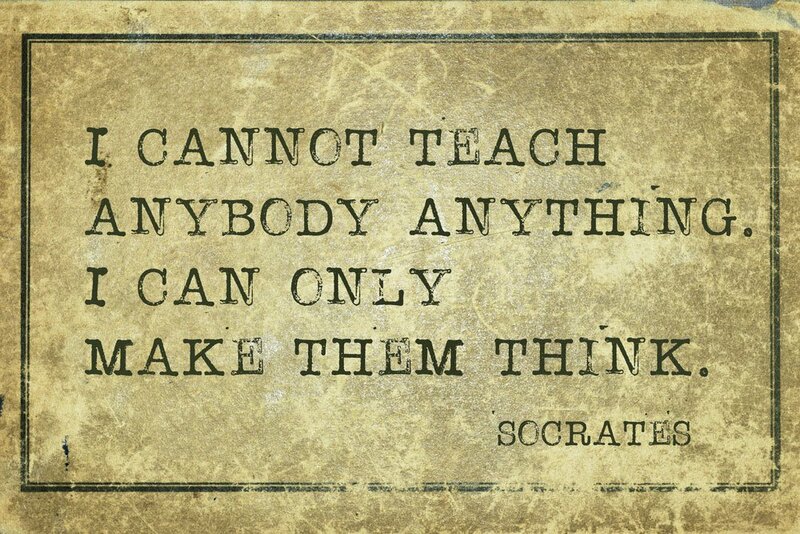 For thousands of years, one of the most effective ways to do this is through Socratic questioning. As the name suggests, the technique was first proposed by the ancient Greek philosopher Socrates, and posits that a problem is best solved by examining it through a series of questions that not only result in individual answers, but encourage a deeper understanding of the topic being explored. Instructors can use Socratic questioning to gain better insight into a student’s thinking, determine the depth of their knowledge, and to help provide a framework for analyzing concepts outside of the classroom. Learners, meanwhile, gain a tool that they can share with colleagues to better examine workplace problems. Have you used an audience response system while utilizing the Socratic questioning methodology? Did it work for you? Leave us your feedback below.